The 2019 qualifying amount is a minimum of 8 closed ends AND $5 million in production OR 20 closed ends. 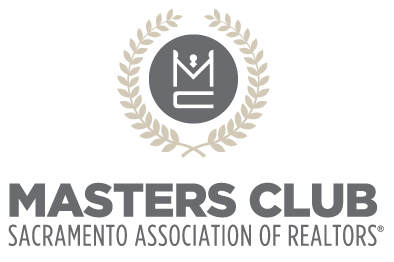 The Sacramento Association of REALTORS® Masters Club is dedicated to recognizing the excellence, leadership, and generosity of the region's top real estate professionals. Members must qualify each year to maintain their membership. In addition to strong sales figures, our members demonstrate a commitment to leadership, mentorship, and shaping the future of Sacramento's real estate community. Each year, Masters Club members generously devote their time to volunteering with and raising funds for area non-profits, providing numerous educational and networking opportunities, and contributing to the career development of their fellow SAR members. Applications submitted that are incomplete or inaccurate will be returned for correction and may incur a late charge if resubmitted after the deadline. For those wishing to submit their application in person or by mail, please complete this form instead of submitting online via the process below. Application Deadline of January 25, 2019 at 4:30pm has passed. $100 late fee is now required to submit the application. 1. Applicant must submit in writing the "closed escrows" in which they have been either the listing and/or selling agent/broker. The applicant will be given 100% credit for a transaction if they represented only a buyer or only a seller in a single transaction. The applicant will be given 200% credit for the sales price if they have represented both the buyer and seller of the closed escrow. 2. If the applicant shared in the listing end or the selling end of the transaction with another agent, they can only take credit for the portion that the applicant actually completed. (Example: Applicant (Agent A) shared listing end with Agent B, and Agent C sold the property. Applicant (Agent A) can only take credit for the portion for which they are due, which may not be less than 50%). 3. Requests for additional supporting materials must be available for verification upon request of the Masters Club Steering Committee. Failure to furnish records for verification will cause the applicant to be disqualified. Falsification of records of sales credit will result in the individual's disqualification from further participation in the Masters Club. 4. Both MetroList® and non-MetroList® California sales may be counted. A closed escrow must be recorded during a calendar year to be counted. The applicant may only submit transactions where they were the agent of record and an agency relationship has been confirmed. 5. Transactions not on the MetroList® Masters Club Report shall be considered a non-MetroList® transaction. To receive credit for a non-MetroList® transaction, a Masters Club New Home & Non-MetroList® Sales Verification form, with the required documentation, must be submitted with the application for each non-MetroList® transaction. "Teams" are sets of individual agents or brokers who work together on transactions. Each team member must qualify individually and be approved for Masters Club in order for that team to market themselves as Members of Masters Club for that qualifying year. 3. MetroList Masters Club Report must be uploaded below. Instructions on how to generate the MetroList Masters Club Report here (if MetroList report meets qualifying criteria, skip to step 5). 4. Any non-MetroList or New Home Sale verifications must be uploaded below. You will also need to complete this for any MetroList listing with the wrong data. Every sale must include this verification form. a. If submitting a non-MetroList or New Home Sale verification form, an excel spreadsheet must also be submitted below with the total of each sale. Use this form. Don't have Microsoft Excel? Copy and download this form on Google sheets. Excel Spreadsheet of each sale counted toward qualification and a final total. I am applying for "dues only" membership and will NOT receive credit as a Masters Club production year. This will keep me at the same number of production years as I had last year. Not eligible for Reciprocal membership with PCAR or YCAR. By checking below, you certify that all figures submitted and all supporting documentation are true and correct and you authorize SAR to contact the title company if necessary. You also understand although payment will be processed, your application will not be considered submitted until your 2019 SAR Dues has been paid and your qualifications are verified. If it is determined that you do not qualify, your payment may be refunded. Dinner tickets will only be refunded with written notice of cancellation request 72 hours prior to start of event. Save the Date - The Masters Club Awards Reception will be held on April 4th at the California Railroad Museum. More details to follow.